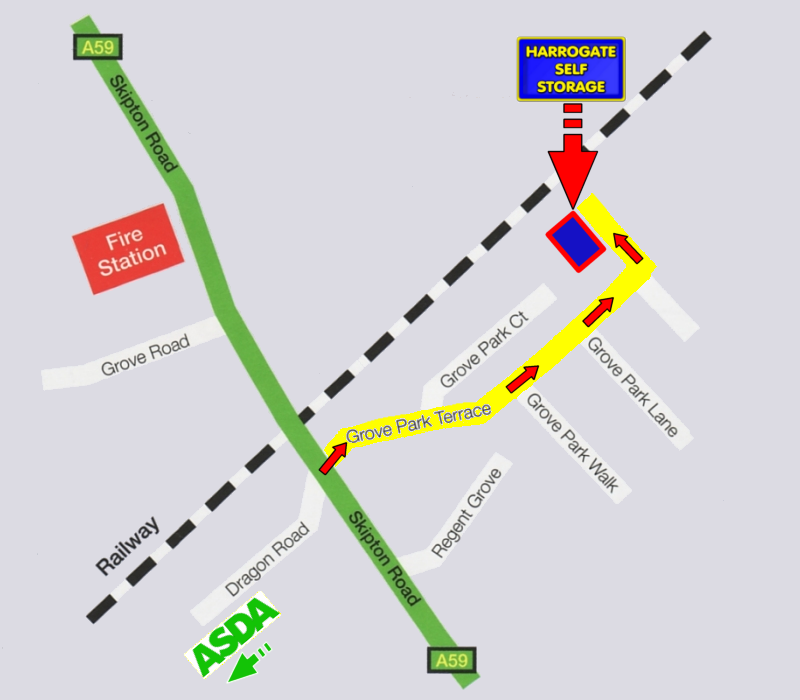 Harrogate Self Storage is located on Grove Park View, just off the A59 in Harrogate. Turn off the A59 Skipton Road onto Grove Park Terrace, and follow the road round onto Grove Park View. You will see Harrogate Self Storage on the left hand side of the road.